Legend has it that Guru Rinpoche flew to this site on a tigress’ back to subdue a local demon. Thereafter, hemeditated here for three months. It takes around 1 hour, 45 minutes to get to Taktshang walking or riding a horse. If the full hike is too tough, you can rest at the wooden teahouse restaurant or cafeteria after the first hour. You can get horses, too if you mention it to your guide. The trail takes you through blue-pines to a series of three water-powered wheels. You will get breathtaking views of the Paro valley from here. After gaining an additional 300m from here, you will reach a small chorten and some prayer flags on the ridge. After another 30 minutes, you will reach a spring and basic monastery guesthouse. 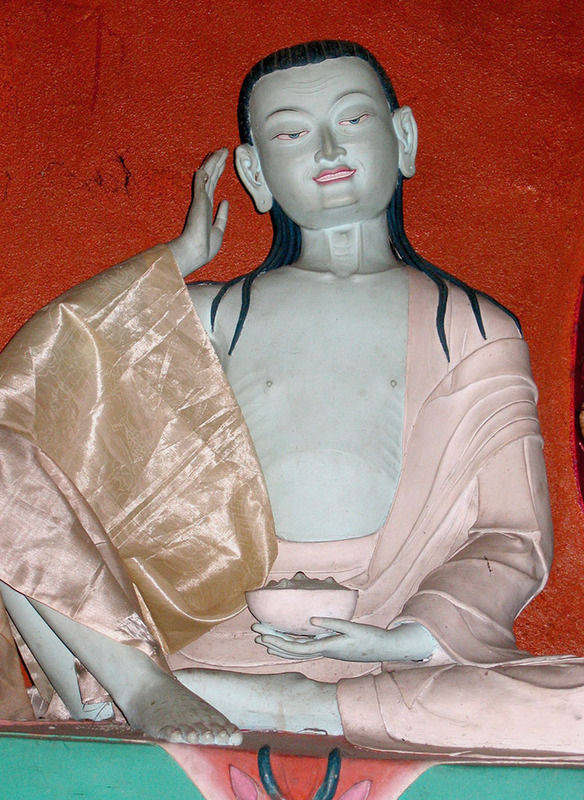 It is believed that Machig Labdron, the incarnation of Khandro Yesho Tsogyal mediated here. It is located above the ravine where the waterfall is. Her footprint can be seen inside. This cave is located near the stream that flows rough the ravine. Guru Rinpoche mediated here on Vajrakeli, the deity of the magic dagger. Guru Rinpoche mediated here for three months over the deities of the magic dagger. Today, the set of magic daggers (Phurpai Ethram) is preserved here. This cave is shaped like Dorje Droloe and stands a little further away from the Senge Samgrup lhakhang. The cave is located to the left of the main monastic complex where the self-created Buddha Amitayus and pagsam-shing (wish-fulfilling tree) can be seen. It is believed that this is the acve where virtuous and non-virtuous actions are separated. The belief is that Chenrizig or the Lord of Compassion resides in this cave assuming the form of the Lord of Death. Located near the Shama Lhakhang, this cave is said to hold profound oral traditions that can subjugate demons and spirits. Located at the center of the cliff, this cave can accommodate ten persons. Drubchu is the holy water believed to have been founded miraculously by saints. There are five drubchus around Taktshang. These are Gyalsey Tenzin Rabgye Drubchu, Gurui Drubchu, Machig Phug Drubchu, Shelkarchu and one founded by Phadampa Sangye near the Zangtopelri Lhakhang. Before reachoing Shelkarchu you come across Tshogyal Pangchung , meaning “the lawn of Khandro Yeshe Tshogyal”, where Guru Rinpoche bequeathed teachings to her. To the lower right of the entrance stairway stands the cave where Guru Rinpoche and Langchen Pelgyi Sengye meditated. This cave is Taktshang’s inner sanctum. Holy water flows from the cave stone surface even on the driest days when pilgrims pray before it. This lhakhang contains Guru Sungjonma’s statue which is venerated. It was sculptured by Pentsa Deva. This lhakhang contains Langchen Pelgyi Sengye’s kudung choeten . The hall also contains a rock believed to be Dorje Phagmo’s skull and a drubche believed to be founded by Gyalse Tenzin Rabgye. Located on top of the main building, the lhakhang is dedicated to Guru Tshangyad. It contains Guru Rinpoche’s idol flanked by his two principla consorts: Khandro Yeshi Tshogyal and Mandarawa. It contains a life-sized statue of Tshemaped, flanked by Gongdue and Guru on the right and Dorje Drolo and Phurpa on the left. It derives its name from the fact that Dorje Drolo used to be the main image in it before the fire that broke out in 1998. Namsey Lhakhang is dedicated to the God of Wealth (Kubera/Vaisravana). 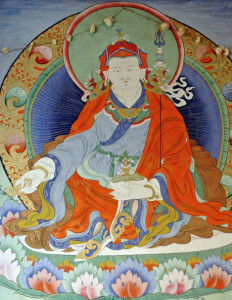 The principal image in the room is Namsey surrounded by his attendants. This lhakhang is dedicated to Sengye Samdrup, Taktshang’s guardian deity. Located on top of the Neykhang, this lhakhang is dedicated to the Kagyud lamas. It contains the images of three prominent Kagyud masters – Marpa, Milarepa and Dagpo Lhaje. It is located near Shelkarchu, below a cliff face that resembles a snow lion. A rock called “Do Nyinda Marmo” lies in the passage leading to the drubkhang. It bears the sun and moon’s imprints and is said to be the mouth of the treasure of Gondue. The Tiger’s Lair is a cave between Droloe lhakhang and Sengye Samdrup Lhakhang. It is here that Yeshi Tshogyal resided as a tigress. Phurpa Lhatsho is a Spirit-lake at the base of the cliff. It is believed that those who cause disturbances to the Tsho face miraculous retaliation.